The Marley Typhoon® half-round spouting system is designed specifically for New Zealand homes and conditions with excellent rainfall capacity and flow. 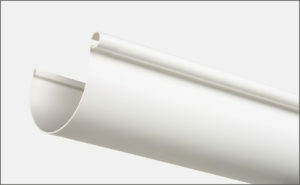 Its contemporary design offers a choice of either internal brackets (for a clean finish) or external brackets (for a unique look and ease of cleaning). 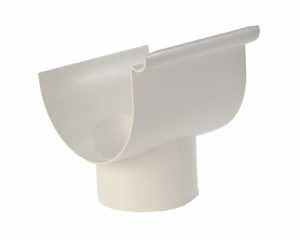 Typhoon® half-round spouting is part of the range of Marley PVC spouting systems. Suitable for new and existing homes. 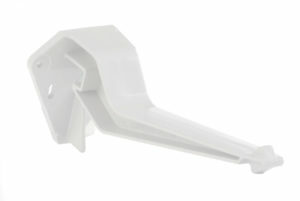 The Marley Typhoon® Spouting System’s profile has a high front. This helps hide untidy rooflines and provides a very neat end result. 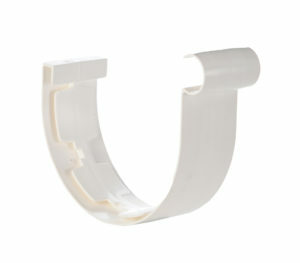 Marley Typhoon® also has an internal and external bracketing option. 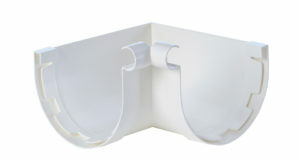 Choose internal bracketing if you require a smooth, clean finish that is easy to paint. External bracketing gives the spouting a completely different look. The visible brackets become a design feature. External brackets also make the inside of the spouting easier to clean. 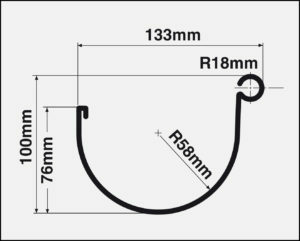 Marley Typhoon® half-round spouting provides a large water capacity of 6100mm2. This capacity combined with its shape delivers a better rate of water flow, which enables it to cope better with sudden downpours, as well as decreasing the likelihood of leaf and sediment build-up. 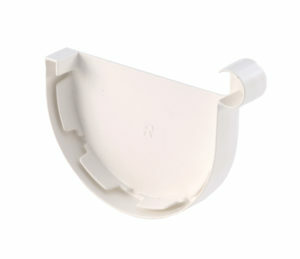 This is of particular benefit if the spouting is being used to collect rainwater for household use. 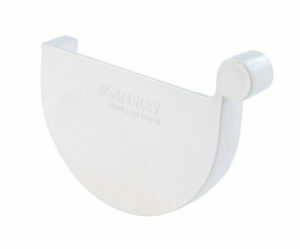 Marley Typhoon® half-round spouting is now available in a range of colours. With the addition of New Zealand’s most popular roofing colours, Black, Grey Friars and Ironsand, Marley Typhoon® has the colour range to suit any style of home. 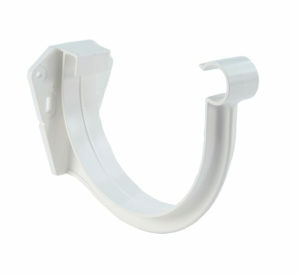 Bracket System: Internal or External bracket options. 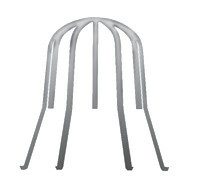 Both to be spaced at max 500mm centres (reduce to 300mm in high wind or snow prone areas). 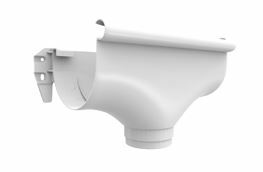 All Marley Spouting bracket systems create + maintain a 10mm gap between the fascia and the back face of the spouting to allow water to spill to the exterior of the building envelope (as recommended in BRANZ Technical Bulletin Issue 509, “Sizing Gutters and Downpipes”, Clause 4.01). * As per NZBC E1 – Surface Water, Rainfall Intensity equates to a 1 in 10 year storm and varies depending on geographic location. For example, 100mm/hr is a general rule of thumb for the Auckland region however please refer to hirds.niwa.co.nz for current rainfall intensity specific to your location. 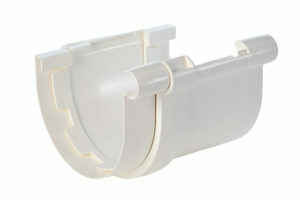 Marley spouting and downpipes are intuitively designed as a modular system, making repair and replacement much simpler. There is a technical element to installing Marley spouting so if you are unsure, Marley recommends you seek advice from a trade professional. Alternatively for a step by step DIY guide, please click here.